As Emergency Medicine is a new specialty and there has been a lot of buzz around it, if you are a medical graduate in India wanting to take up Emergency medicine you would definitely be perplexed by the myriad of nomenclatures of EM postgraduate qualifications. As an MBBS pass out when you are vaguely starting to understand what different specialties are and what EM is, just when you think you might have a thing for EM, you probably are bombarded with countless names (of qualifications), each claiming to be superior to one another. 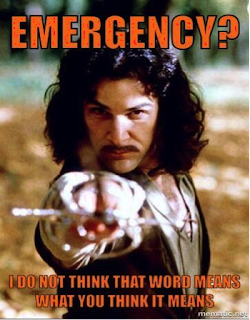 Everyone seems to have an opinion about EM (like everything else) - One with a qualification in EM, one without, a doctor who has no idea what emergency medicine is, that homeopath on the crossroad, EVERYONE! Just yesterday when I was walking down the road I even overheard the samosa guy explain to the chaiwala (No no..not Modi!) how one course is better than the other while he unknowingly obstructed an Ambulance passing by with his cart although the ambulance had it's sirens and lights on !!! So what's this confusion about ? And how does a MBBS student or aspiring EM physician analyze this and make an informed decision and decide what course to join ? Whom to trust when people are claiming everything like popular news channels - "First on EM tv", "You saw it first on nautanki now", "We are the undisputed No.1" and "Exclusive" ?! So let me just try to dissect each of the popular EM qualifications in India. I will try to list the advantages, drawbacks of each of them. I will try to be as unbiased as possible and try to touch upon some facts pertaining to recent controversies step by step. Like all other MD qualifications, this degree is given by Medical Council of India. Course is run in many medical colleges across India. There are fixed number of seats. - You can be a faculty in medical colleges and hospitals running DNB after the completion of the course. - Getting a job after MD shouldn't be a problem at all as MD is a brand in itself irrespective of how good you are. Q: Wow!!! Then is this the perfect, irrefutable, most 'legitimate' EM degrees of all ??? A: Hold on. The answer might not be an absolute no or a blanket yes. There are downsides of course! 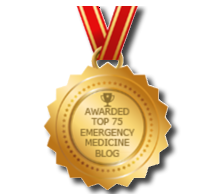 - There are many medical colleges where the department of EM is not completely established or to put it in another way there's no concept of emergency medicine. The primary faculty for teaching are not from EM. 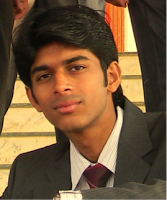 -**Varmaji's beta worked hard, passed MBBS with distinction, studied again, got good rank in NEET, was an adrenaline junkie who wanted to bring a change in people's lives, was interested in EM, got a MD EM seat in a reputed medical college. Passed with flying colors. Well done. LEGITIMATE! Sharmaji's beta passed MBBS after Salman threatened him that he will get married before he passes. He once tried to memorize the full form of NEET but then he felt that was completely unnecessary. He thought he would do MD EM because someone said he didn't have to admit patients under him if he did that. He was rich, Sharmaji owned 2 BMWs, he spilled 1.5 crores and BOUGHT a MD EM seat in the same college as Varmaji's beta like you buy a kilo of brinjal (Baingan - I can't kill the Hyderabadi in me) from the market. He also somehow passed. Sharmaji's beta is also MD Emergency Medicine now! LOL! Legitimacy!? LOLOLOL! --> So, on a serious note, I'm not saying that MD EM is all bad. Neither it's sacred and the BEST just because it is run by MCI. Making blanket statements won't help! So the bottom-line is - Good score in NEET --> Good college with good EM dept. with preferably faculty from EM --> MD EM --> Good. Run by NBE (National Board of Examinations) across different hospitals and some medical colleges across India. Like MD, they have fixed number of seats. - Can be faculty in medical colleges (There has always been some controversy regarding DNB candidates being asked for some additional experience to work as assistant prof in medical colleges, I'm unsure of the present status) and DNB institutes. - Entry is via NEET. - Main factor which might increase the 'LEGITIMACY index' of DNB is that there are no 'management seats'. That means no one can 'buy' DNB seats. You will have to earn them! That's commendable. - Again getting a job shouldn't be a problem. DNB programs are well known for churning out good doctors historically. - Final exams are not easy as MD is the general perception. Which is kind of good. When you pass, people know you deserve it. - You can of course write MRCEM exams while you are at it! Q: Well, then there are no downsides? That's amazing, isn't it? - This one is common: Some hospitals might not have primary faculty from EM. - Secondary DNB eligibility: Dude, this is a JOKE! Anyone with ANY diploma is eligible for secondary DNB EM. Like Dip microbiology, pathology etc. can take up DNB EM (secondary). What on the earth were they thinking while they made these criteria?! What are they trying to do/achieve ?! Bizarre! Bottom-line: Good hospital --> DNB EM --> Very Good. 3. MRCEM (UK): Membership of Royal College of Emergency Medicine, United Kingdom. There has been lot of confusion regarding this. So let's make few facts clear. 1. This is NOT an Indian qualification. This is awarded by RCEM, UK. 4. You can get job in any hospital after MRCEM easily. 5. You are eligible for working in UK/Ireland and/or undergo higher specialty training in UK towards FRCEM. (You are exempted from PLAB). FRCEM is recognized in Australia as well. 6. Do you have to be in a specific residency or training program to attempt MRCEM exam? The answer is NO. You need to have the evidence of structured training/experience in EM and allied specialties as per RCEM requirements - Emergency medicine, Intensive Care medicine, Anesthesia, Acute/Internal medicine (For roughly 3 years) and you can attempt the exam. 8. What's the Apollo connection with MRCEM ? This has always been a longstanding doubt of many. Simple. 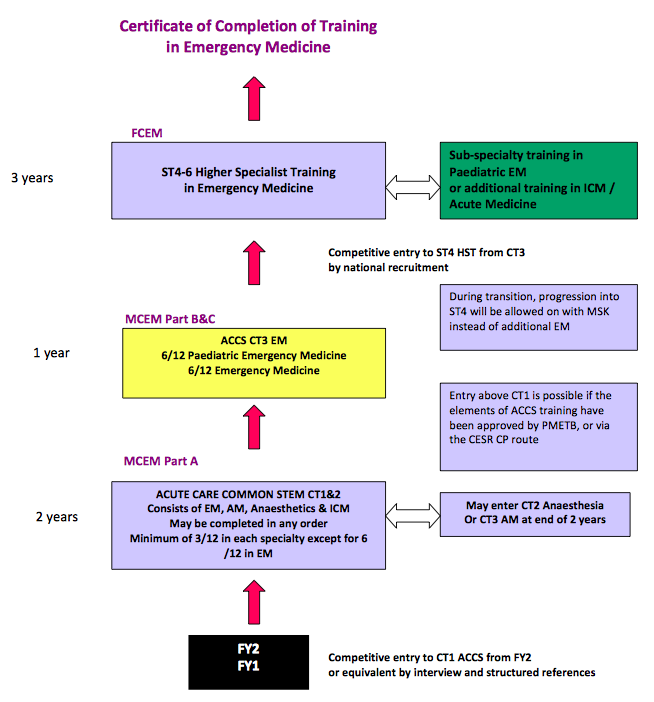 Apollo was the first in the country to collaborate with RCEM and start the MRCEM exams in India and started a structured training program in EM providing training to pass MRCEM back in 2005 (During a time when EM was not even a MCI recognized specialty in India), pioneering the development of EM in India. Apollo runs a structured 3 year EM residency program training you for MRCEM. So MRCEM exams are usually held at Apollo hospitals. Recently there have been few other centers like Max Hospitals, Delhi. 9. So is it mandatory to get training in Apollo to be eligible for MRCEM ? No. Absolutely not. College (RCEM) doesn't mind where you do your training from as long as you are competent and can show the evidence of same neither they RECOMMEND any specific training program. So basically you can write MRCEM after MRCEM residency in Apollo, DNB EM, MD EM, MEM, or not enrolling yourself into any of the courses per se and just gaining the necessary experience/training in the specialties mentioned above. 10. So is doing residency in Apollo useless if my aim is doing MRCEM ? Having said that just because you have enrolled for the residency program doesn't automatically mean that you will pass MRCEM exam. You are not joining a 'course' where you will be spoon-fed. You will have to earn it! 11. Can I join any other hospital, college without enrolling into a course/training program and still clear exam ? Well, nothing is impossible. You CAN do that as well provided you have a very good guide and you exactly know what you are doing. There are people who have done that as well. So it is completely up to you! Thinking out of the box is a core quality of an emergency physician! But you have to judge how much out of the box! 12. What in UK after MRCEM ? - Training can become dull/not-so-happening sometimes especially if there's shortage of staff. -The place you choose for training is extremely important. Especially if it is not a structured training program – High chances of losing focus, getting lost and getting discouraged by ill informed peers, colleagues and 'experts' from other specialties. -There are only a handful of MRCEM qualified doctors in India. Choosing the right guide in a right hospital out of a training program might be a tedious task. Bottom-line: You need to find a very good hospital and have adequate training/experience to clear MRCEM. A good guide/team is equally important. Exam is definitely not easy. You will have to earn this qualification. Scope: Very good! MRCEM opens up many doors for work/training in India and abroad. MEM (Masters in Emergency Medicine) is a three year course run by 2 societies - George Washington University, USA and SEMI - Society for Emergency Medicine, India. Probably this is the most 'controversial' of them all. Before I start, I'm making it clear that I'm not jumping into the argument of whether or not these societies can give masters degree , universities act, it's just a certificate, should it be called something else etc. Etc. - I'm not a legal expert. Period. Now that these courses are being run and people have enrolled into them let's see how can they be assessed by a trainees perspective. 1. Are they recognized by MCI ? 2. Is the GW MEM recognized in USA? A: No again. A big NO. 3. Is it recognized in UK? A: NO man, NO! Nooooo! 4. Can you get a job after MEM ? For now, of course you can get a job with fairly good pay as there's a shortage of doctors to man the EDs. But future is unclear. 5. Can i write MRCEM after MEM ? Yes. Of course you can, like anyone else with similar experience. But your MEM tag has nothing to do with MRCEM exam! 6. So is MEM completely useless ? Well, No! Again it's unfair to give such a blanket statement. MEM programs have a good curriculum (Although not all the centers adhere to it or have a notable training program). There are quite a few centers running MEM programs with very good training which produce very good EM physicians and also high success rate in MRCEM. (Example: MIMS Calicut, KDAH Mumbai, MaxCure Hospitals Hyderabad. There may be other hospitals which have good training programs and these are just examples of hospitals I'm aware of which have good training as per few friends and colleagues who had worked there). Many of the courses conduct regular classes/academic sessions, some even with overseas faculty. 7. So are MEM trained doctors are all incompetent ? - Fee for most of GW MEM courses are high. - Although the training in some hospitals is good, ultimately everything boils down to success rate in MRCEM! So the importance of MEM as a standalone qualification is minuscule especially with it's 'Unrecognized' status. - Many hospitals use MEM as a way to get cheap labor - To prevent understaffing of their EDs and ICUs without actually training them and also underpaying them - Which definitely is a major concern. - Many people opt for it because they are not able to get into anything else. (Ease of entry). Which again is detrimental to the specialty. - Most of the MEM programs are advertised saying they are eligible to write MRCEM after MEM which is of course true but what is the role of MEM per se needs to be seen. Only time can tell the answer ?! Bottom-line: Joining MEM might not be a very bad idea if you like the training in a particular hospital running MEM course and IF THEY ALSO (ACTUALLY) TRAIN YOU FOR MRCEM. The cause for this confusion is complex. It may range from personal interests to governmental insufficiency in uprooting the corruption in the system + the mismatch between supply and demand and everything in between – Corporate greed, personal agenda, petty politics, lack of manpower, funding, infrastructure and the extremely complex system of Indian healthcare. Frankly I don't have one answer for this neither can I think of one single solution for this. But definitely conflict and 'rational thinking loss' are detrimental to the growth of EM as a specialty! There has been a lot of buzz in the social media after few reports were published in prominent newspapers about EM qualifications in India. The newspaper articles although highlighted few problems, it failed to make an unbiased approach and made it appear as if everything is right with the MD and DNB courses and everything else is wrong with the other courses. Many polarized opinions were being circulated with everyone claiming how certain degrees/qualifications are all good and how others are all bad. This is just an honest attempt to provide an unbiased approach towards these qualifications which might help an aspiring EM doctor! A. There are different ways of achieving something. No one path is perfect for everyone. 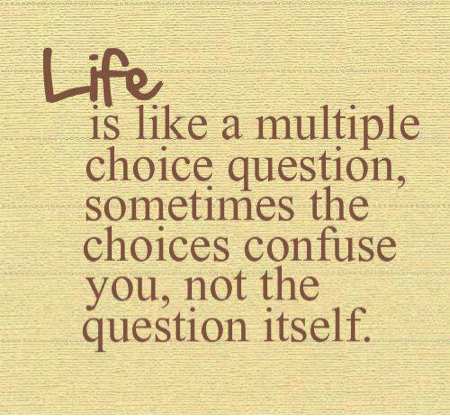 So what do you want to choose? B. DO NOT believe people giving blanket statements about things/issues. It's not just black or white! C. Don't even believe this article. Do your own critical appraisal!!! D. Visit the college/hospital, speak to residents/trainees, consultants before joining any program. Know what you are doing and what you want to be! Disclosures and Conflict of interest: I have done my 3 years EM residency from Apollo Hospitals Hyderabad and have completed MRCEM. So there might be a slight positive bias towards Apollo in the Article although a conscious effort has been made to avoid the same. The views expressed here are the opinion of author only. Can you plaese tell if , after passing MRCEM one is allowed to practise i Australia and NZ ? Passing MRCEM does not give you direct entry to Aus/NZ. FRCEM in UK will give you some access to Australian practice and specialist registration. However i'm not very sure of the exact pathways by which you can work in Australia/NZ with a UK qualification. Seems a bit complex! Will update if i get to know some authentic info. Thanks for taking the time to respond to the post. No course is flawless and I have just tried to enumerate the advantages and disadvantages of all courses in the article. Like I have mentioned in the summary even this article is not flawless. It is all relative and depends on so many variable factors. The inference drawn is a generalisation depending upon the all the points mentioned in the article. For example if you manage to secure a MD EM merit seat in a very good institute with a good ED, that's obviously far better than other two because you would be eligible to give DNB and MRCEM exams as well. But if it is a management seat in a poor college you would imagine the situation. The intention of the article is not to portray one degree / course above the other but to give an overview of different courses so that someone will be able to make an informed decision. Thanks for this enlightening blog. I have completed my mbbs 2 yrs bak and due to some health issues, couldn't work for a while. I feel less interested towards neet so got attracted to mrcem exams. My confusion is .. being as dumb now(after 2 yrs break) shud I take up mem (from calicut) or directly mrcem (calicut or hydrb) pls guide me. Thanks for reading and taking time to appreciate. To start with, NEET and MRCEM are two different exams altogether. One is an entrance test for different specialties and the other is a specialty exam in EM. So be sure that you are interested in EM before you start. I have heard good reviews about MEM at MIMS Calicut. I have a colleague who have done MEM+MRCEM from MIMS Calicut. But i do not have more info on that. The fee for MEM (GW) is high compared to MRCEM training programs in Apollo. But MEM in many places have good teaching faculty and also visiting faculty from overseas regularly. But that comes with an extra cost. I am not aware of any place in Calicut which offers just MRCEM residency/training. I think it's better you visit the places you have in mind and then decide after speaking to residents and faculty over there. Wherever you choose to do the residency, make sure you get rotated in EM, Anesthesia, Acute (Internal) Med and ICU as per Royal college recommendations and have evidence for it. Maintain a log book and complete work place based assessments (WPBAs) as per RCEM, UK curriculum (extremely important for applying for higher specialty training in UK if you wish to do so). Feel free to reply if you have further queries. I wish MCI comes up with a detailed document/notification soon with regard to the equivalence and process involved in registration as more and more people possess foreign qualifications and also get trained abroad. There is still lot of grey area around this and there hasn't been any definitive notification from MCI with regard to this. From what i could dig out of the MCI website, i could find these 2 latest 'minutes of meeting' documents which discuss awarding recognition to MRCEM/MRCP/MRCOG, etc. College of Emergency Medicine (MCEM) in respect of Dr.
ShailanandMamidala u/s 26(1) of the IMC Act, 1956(F.No. 17-100042). But i'm not sure if that's the case for MRCEM also ?! This might be an indication that MCI might be expecting you to do FRCEM in UK after MRCEM and get GMC specialist registration in emergency medicine in UK to be eligible for equivalence in the future. A clear notification from MCI with all the minute details would definitely clear some air. Let's hope! No, I haven't registered it. I moved to UK for higher training immediately after MRCEM. I know few seniors who worked with me who have registered MRCEM with SMCs.